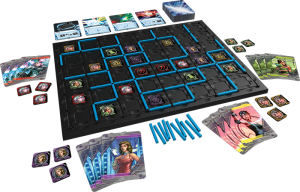 In the past I thought about playing the Living Card Game, Android Netrunner. However, the large number of expansion packs released put me off, and with the announcement that FFG were doing a Warhammer 40,000 LCG, I decided to wait for that (great game by the way, *plug plug*). Even though I did not end up playing Netrunner, I did have an interest in the universe it is set in, which is part of the reason that this game has got me interested. Fantasy Flight Games have so far only released one article for the game. It’s reasonably brief on the rules, but gives just enough to give you a decent idea of how it will play. At it’s basic level it looks like an area control game. The idea of playing cards to screw over your opponent’s plans as well seems like fun. 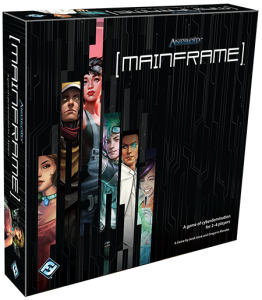 Android Mainframe is due for release in May, so I expect that FFG will do their usual thing of releasing more articles going into the rules in some depth. At this stage I’d say that I’m going to get it (particularly as it’s RRP is only £29.99) but I’ll wait for more information regarding the rules system.